Yesterday was a really difficult day to focus at work, here in San Francisco, as many friends and family members sent me links, pictures and videos about a big protest in SÃ£o Paulo, city I used to live not long ago. June 13th was the fourth protest, organized by Movimento Passe Livre (Free Fare Movement), regarding the increase of public transportation fares, from R$3.00 (~US$1.40) to R$3.20 (~US$1.50). Even though apparently a small increase, this is another on top of many others that happened in the past. The population was already fed up by many other reasons, like inflation, devaluation of local currency, among other things, and decided to get on the streets. It got much worse when the governor and mayor told the police to be harsh, and harsh they were. What was supposed to be a peaceful protest, ended up with police preemptively beating up several protesters and passers-by, a big, nasty public display of unnecessary violence. 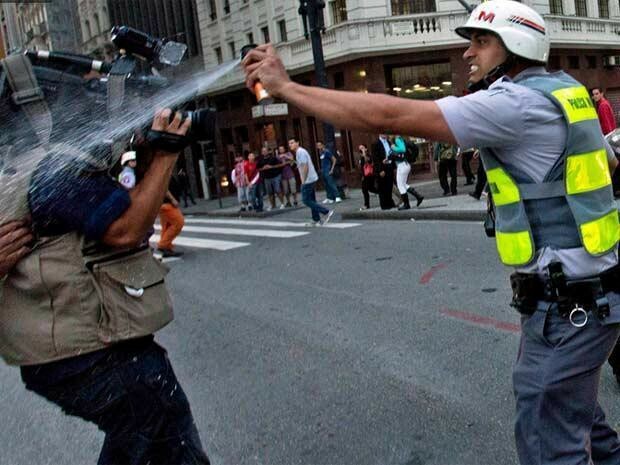 Several people were arrested for â€œconspiracy.â€� Even the press was not sparedâ€Šâ€”â€Ša journalist was arrested for possessing vinegar (to alleviate the effects of tear gas) and many others were shot by rubber bullets and arrested. 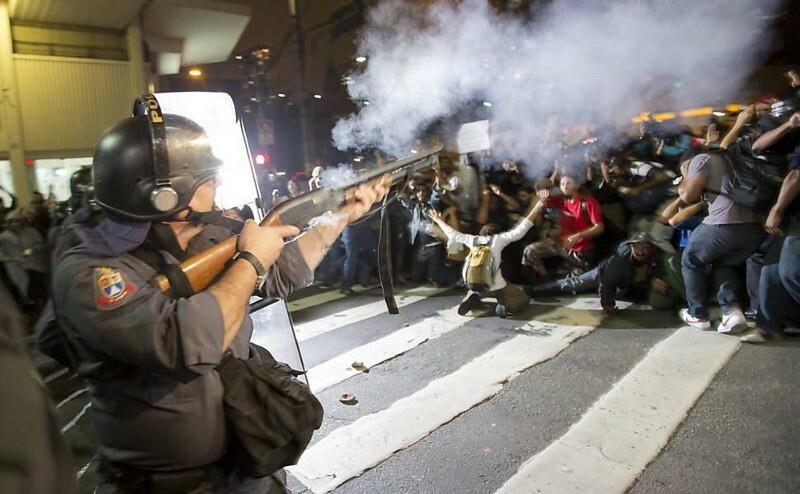 It seems that the reason as to why the police started the confrontations was that protestants could not go to Avenida Paulista, one of the biggest city avenues, to block the traffic, even though the police stopped the flow themselves. Seeing pictures and videos of places that I walked by every day filled with people trying to get refuge from tear gas, screaming â€œNo violence! No violence!,â€� was shocking. Much of the brazilian politics was built by our fathers and grandfathers, where they fought against a brutal, corrupt dictatorship by the military in the past, but recent history is completely different. We were not used to manifest our ideas. Our generation is spoiled, where we feel that the state is the provider, we complain about how helpless we are and that we canâ€™t do anything but to accept. â€œEverything is going to work out in the endâ€� is a very common sentence among us. On the other hand, we removed ourselves from politics for many years because most of us are sick of it, feeling powerless, and every attempt of change ended up being converted into a meaningless fight for political party power. Yesterday was different. I was miles away and I still could feel how powerful it was. It felt like the first in a long time that real people, no flags nor labels, were claiming their rights to have a decent life. I really hope this is just the beginning, that we can dream and fight for a different future than what has been imposed on us. 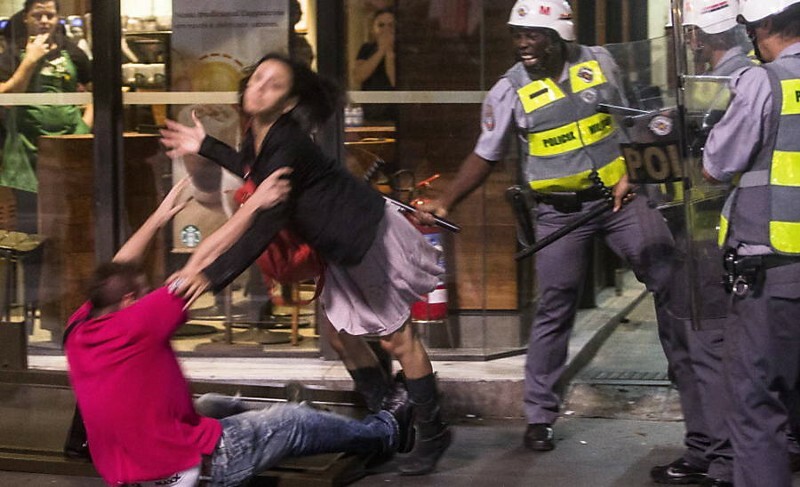 For beautiful pictures about yesterdayâ€™s protests, see http://www.lost.art.br/protesto_sp_130613.htm.